Don't miss this important event for which about 200 policy makers, managers, scientists, economic actors and the civil society are expected to exchange about the contribution of coastal and marine protected areas to sustainable development of the territory. If you have not received an invitation and wish to participate, please contact Pierre Vignes on 04 91 58 09 62 before tonight 15 June. 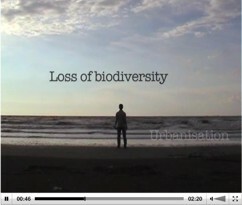 WHAT IMPACTS FOR THE SUSTAINABLE DEVELOPMENT OF TERRITORIES? This conference will bring together decision makers, economic stakeholders, protected areas managers, representatives of civil society and scientists from several countries around the Mediterranean. It will be held on Wednesday 24 June 2015 from 9:00 am to 6:00 pm at the Villa Méditerranée in Marseille. The conference will be preceded by a sea trip in the Calanques National Park on Tuesday 23 June in the morning. The conference will bring to light the socio-economic benefits of coastal and marine protected spaces (Marine Protected Areas and Wetlands in particular), to ensure that they are better integrated into public and private decision making for the sustainable development of territories. Testimonies, case studies, panel discussions, group discussions and exhibitions will highlight different knowledge, experiences, tools, perspectives and common challenges. You will find here the programme of the conference. The conference is organised by PACA Region, Avitem, MedPAN, LAMETA - Université de Montpellier 1, the Regional Activity Centre for Specially Protected Areas (RAC/SPA), la Tour du Valat, Port-Cros National Park, The Calanques National Park, the Regional Natural Park of Camargue, MedWet, Plan Bleu, the Corsican Environment Office, the French Marine Protected Areas Agency, WWF, the City of Marseille, the Conservatoire du Littoral. With the financial support of the French GEF, the PACA Region, the MAVA Foundation and MedWet. Copyright © 2015 MedPAN, All rights reserved. On Wednesday 3 June 2015, the Tour du Valat received the Ramsar Convention Award for Merit, at the 12th Conference of the Contracting Parties to the Ramsar Convention in Punta del Este (Uruguay). The Ramsar Convention Merit Award was handed to the Tour du Valat’s General Director Jean Jalbert on Wednesday 3 June 2015 in recognition of 60 years of research and action for the study, management, and preservation of Mediterranean wetlands. It is also in honour of an extraordinary human adventure led by Luc Hoffmann, who created this unique research centre in the Camargue in 1954. The Tour du Valat has since welcomed generations of researchers from many nationalities, all passionate about wetlands and the biodiversity they host. The Tour du Valat was one of the initiators of the Ramsar Convention, and then played a decisive role in the creation of the MedWet initiative in 1991. It has also actively contributed to the implementation of the principles of the Ramsar Convention in the Mediterranean Basin. In this 12th COP, it has been very active and involved, working on draft resolutions, taking part in many events at the “Mediterranean Agora”, and presenting the results of the Mediterranean Wetlands Observatory. La Tour du Valat s'est vu décerner mercredi 3 juin 2015 le prix du mérite Ramsar pour la conservation des zones humides, à l'occasion de la 12ème Conférence des parties contractantes de la Convention à Punta del Este (Uruguay). Le prix du mérite décerné mercredi 3 juin 2015 par la Convention de Ramsar à la Tour du Valat et remis à Jean Jalbert, directeur général de la Tour du Valat, vient récompenser 60 ans de recherche et d'action pour l'étude, la gestion et la préservation des zones humides méditerranéennes. C'est également la reconnaissance d'une aventure humaine hors du commun depuis la création en Camargue, en 1954 par Luc Hoffmann de ce centre de recherche qui a vu se succéder plusieurs générations de chercheurs de toutes nationalités, passionnés par les zones humides et leur richesse. La Tour du Valat est notamment à l'origine de la Convention de Ramsar, puis a joué un rôle déterminant dans la création de l'initiative MedWet en 1991, et a activement contribué à la mise en œuvre des principes de la Convention Ramsar dans le bassin méditerranéen. Elle est également très présente et active lors de cette 12ème Conférence des parties, via des travaux sur les projets de résolution, la participation à de nombreux événements dans le cadre de "l'Agora méditerranéenne", ainsi que la diffusion des résultats de l'Observatoire des zones humides méditerranéennes. La Tour du Valat remercie à cette occasion tous ses partenaires qui ont contribué à ce succès, et les associe chaleureusement à ce prix. The deadline for online abstract submission to the Twelfth International Conference on the Mediterranean Coastal Environment (MEDCOAST15), 6-10 October 2015, Golden Sands, Varna, Bulgaria , is extended until 29 May 2015 (Final!). Notification of the abstract selection results will be done by 10 June 2015. The conference will take place at the premises of Grifid Bolero Hotel, .an all-inclusive beach hotel at Golden Sands, Varna. This biennial conference series organised by MEDCOAST Foundation is one of the leading conference series for coastal and marine management, dealing with worldwide issues with particular emphasis to the Mediterranean, Black and Caspian seas. All presented papers (oral or poster) are printed after pier review in the conference proceedings that are covered by ISI Thomson, Scopus and Compendex indexing systems. We invite you to visit the conference website for submitting your abstract(s) by 29 May. Similar to the previous eleven events, we are confident that the Varna conference will be an exciting, rewarding and enjoyable coastal and marine meeting. We look forward to seeing you in Varna! Sound and regular monitoring is essential to effective MPA management; managers and scientists are unanimous on the subject. But implementing monitoring programmes requires time and money, commodities that are hard to come by nowadays. This edition of «Science for MPA management» reviews the scientific litterature published on this topic. The soon-to-be-published proceedings of MedPAN 2014 Mediterranean sharing experience workshop: «Monitoring for management of Mediterranean MPAs» will complete this review (soon available on MedPAN website). We are also "dying" to know what you think of «Science for MPA management» and our newsletter. Click to answer these 10 simple questions and help us improve our services to you. The full newsletter can be found online, in French and English. Only 2 days left to submit your projects under the 2015 Call for Small Projects... Don't delay... And don't miss, on 10 and 11 March, "Beyond Plastic Med", the conference organised by TARA with the Albert II of Monaco and MAVA foundations and Surfrider Foundation Europe... in Monaco or in streaming! The next MedPAN flagship event will be held on 24 June in Marseilles, France, and will highlight the assets coastal wetlands and marine and coastal protected areas represent for the territories in the Mediterranean. Stay tuned for more details. And now the floor is yours: what do you think of this newsletter?... Click here to answer 10 simple questions that will help us improve the services we offer. Among the numerous activities going on this spring, please note the conference organised by MedPAN and many partners at the Villa Mediterranée in Marseille on 24 June . Policy makers, managers, scientists, economic actors and the civil society will exchange about the contribution of coastal and marine protected areas to sustainable development of the territory. Testimonials, case studies, panel discussions and focus groups will highlight different knowledge, experience, tools, perspectives and common challenges. The pre-program will be available soon along with the opening of the registrations. An important event not to be missed! The twelfth event of the MEDCOAST's biennial international conference series on the Mediterranean Coastal Environment (MEDCOAST 15) will take place at the premises of the ultra-all-inclusive Grifid Bolero Hotel at Golden Sands, Varna, Bulgaria during 06-10 October 2015. The web page of the conference is at the address (www.conference.medcoast.net). The deadline for online abstract submission will expire on 15 May 2015. Since the first conference in 1993, the past eleven events of the MEDCOAST conference series have brought together researchers, planners, designers, managers, policy makers, national and local administrators, developers and NGOs from a wide spectrum of nationalities, who have interest in coastal and marine science, conservation, policy and management in general and in the Mediterranean, Black and Caspian seas in particular. All papers presented (oral or poster) in the MEDCOAST conferences are peer-reviewed and printed in the proceedings which are covered by the major conference proceedings indexing systems such as the ISI Thomson, Scopus and Compendex. Authors of the selected papers from the proceedings are invited for thematic special issues of the leading coastal and marine journals. We invite you to upload on-line your abstract(s) by May 15, following the instructions provided at the conference web page and to be with us at Golden Sands, Varna in October for a rewarding and enjoyable international gathering. MEDCOAST was initiated as a Euro-Mediterranean Network of Academic and Professional Institutions in 1990 with the aim of providing the support of the scientific community for developing and enhancing integrated coastal management practices in the Mediterranean and the Black Sea countries. When MEDCOAST organised the First International Conference on the Mediterranean Coastal Environment in November 1993, it was one of the first conferences of its kind in the whole world. The MEDCOAST Institute 94: The First International Training Workshop on Integrated Coastal Management in the Mediterranean and the Black Sea, organised the next year in August/September with the project funds from the Med-Campus scheme of the EU Med-Programmes, was among the earliest efforts on regional human capacity development for ICM. MEDCOAST has continued scientific activities for supporting ICM in the Mediterranean and Black Sea countries very regularly since those early years. The bi-annual conference series on the Mediterranean Coastal Environment, organised in the months of either October or November of the odd-numbered years, became a well-established and recognised conference series dealing with all aspects of coastal and marine management. The 12th edition of the series will be organised in Varna, Bulgaria during 6-10 October 2015. Eleven events of this conference series and other scientific meetings organised with the acronym of MEDCOAST over 21 years produced 32 volumes of proceedings that add up to the total of 18 600 pages. The proceedings, which we will be made available for open-access in the near future, constitute a very important source providing a wealth of information on coastal and marine issues in general and for the Mediterranean, Black and Caspian Seas in particular. MEDCOAST proceedings have been covered since 2005 by the leading conference proceedings indexes such as Thomson Reuters and Scopus/Compendex. The tenth MEDCOAST Institute was organised during 26 August – 11 September 2014, adding ten new people to our distinguished list of alumni and increasing the total number to 165 individuals representing 27 countries. We are proud with the long and successful record of MEDCOAST Institutes. When we held the last institute in 2014, it was by far the longest running (1994 – 2014) ICM training worldwide. With the tenth Institute – the jubilee event, we decided to end this classical series, which aimed to give a general understanding of ICM and a vision that would positively contribute to the future carriers of the participants. We have been extremely lucky to have highly resourceful people participating at the past ten MEDCOAST Institutes and have been proud to witness the fine work that some of our alumni have carried out at international or national levels for further advancing ICM over the Mediterranean and the Black Sea basins. Needless to say that the success of the MEDCOAST Institute series is due to the voluntary contributions of several leading scientists and professionals who devotedly contributed to this event as lecturers and tutors, some throughout the whole history of the Institute! We will definitely continue the international training offered by MEDCOAST with different goals and formats. 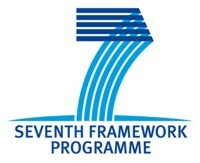 In addition to the above flagship events, MEDCOAST has taken responsibilities for leading and taking part in regional research and development projects for the Mediterranean and the Blacks Sea, for serving as a regional information centre for coastal and marine issues and for providing expert contributions to the regional policies and programs. MEDCOAST events have been organised by the Mediterranean Coastal Foundation (Akdeniz Kiyi Vakfi) since it was officially established in September 2007. MEDCOAST, as network or foundation, has always been truly scientific, independent and non-profit NGO, and has not received funding from any institution on a regular basis. The long history of MEDCOAST extending over almost 25 years is basically due to the valuable and successful events that have been organised and the networking function that has been assumed for enhancing ICM in the Mediterranean, Black and Caspian Seas. One aim of the present workshop is to review the past and present activities and practices in the field of integrated coastal management in the Mediterranean, Black and Caspian Seas in parallel to the past MEDCOAST activities. The more significant aim is to make future projections for both the probable regional developments, piercing issues that will require attention, and the regional needs to address these developments and issues; and the future of MEDCOAST as a regional institution for better contributing to coastal and marine management and conservation. 30 April 2015: Deadline for sending the participation form. Participation at the Workshop is free-of-registration fees and only by approval of the Organising Committee. The accepted participants will enjoy all social activities and airport transfers free of charge. They will need to cover their air-ticket to Dalaman International Airport and the hotel accommodation (expected to be around 250 -300 Euros for 4 nights). Hotel reservation will be handled by the Workshop Organisers for participants who send their flight information by 15 May 2015. The hotel and transfer costs of MEDCOAST Institute alumni and lecturers will be covered by the MEDCOAST Foundation. MEDCOAST 2015, 06-10 October 2015, Varna, Bulgaria, save the dates! The Twelfth International Conference on the Mediterranean Coastal Environment will be organised in Varna, Bulgaria during 06 – 10 October 2015. The bi-annual conference series organised by MEDCOAST deals with all kinds of coastal and marine issues and attracts scientists, experts, managers, planners, policy makers, administrators, resource developers, users and conservationists from all corners of the world, who are interested in integrated coastal and marine management. The conference has been organised very regularly in October or November of the odd numbered years since 1993 and has established itself as one of the most significant coastal and marine scientific events. The 12th conference in Varna will be the second time for visiting the Black Sea shore after the Sochi (Russian Federation) conference in 2009. The peer-reviewed papers published in MEDCOAST Conference Proceedings are covered by the major indexing schemes including ISI Thomson Reuters, Scopus and Compendex. It has been customary to publish special issues of the leading coastal and marine management journals by using papers selected from MEDCOAST conferences. Climate change impacts and adaptation strategies. Sitting of major industrial facilities. Use of remote sensing technology and geographic information systems in coastal management. 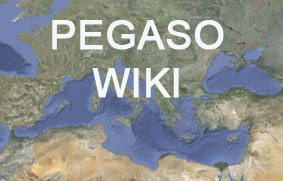 PEGASO is funded by the European Union within FP7- ENV.2009.2.2.1.4 Integrated Coastal Zone Management.